At the first Thanksgiving, they probably didn’t have a turkey. According to a story by NPR’s Robert Krulwich, the main course was probably deer (brought by the Wampanoags), goose and duck (brought by the English). But in these United States, in 2012, Thanksgiving just isn’t Thanksgiving without a fat, browned bird popping and sizzling in the oven, rendering fat for a rich gravy, leaving behind a wishbone for kids to fight over. For Americans, the bird is central to (arguably) the biggest feast of the year. Expatriates, like David Leite in France, students abroad in Spain and Peace Corps workers in Morocco go to great lengths to procure, prepare and serve a bird, which, thousands of miles away, tastes a little bit like home. One small food pantry gives out 2,000 Thanksgiving meals on the weekend before the holiday, anchoring each one with a Jenny-O or a Butterball between 13 and 20 lbs. Even Sam Sifton, the former New York Times restaurant critic and author of “Thanksgiving: How To Cook It Well” (Random House, October 2012), will never forget the memory of the first turkey he cooked as a college kid. Your family Thanksgiving table might include sweet potatoes with Gorgonzola, creamy corn casserole, roasted cauliflower or stuffing with spicy peppers. It might include Jell-O salad, cranberry sauce from a can and Stove Top stuffing. But your Thanksgiving table, like mine — like 88 percent of Americans’ — needs a beautiful, browned turkey to make it complete. And that is a very delicious tradition. Here at gThankYou!, we wish you and your family a joyous Thanksgiving. We are grateful for all of your support, inspiration and business. Carving a turkey for the first time can be a truly imposing task. In the same way that little Cornish hens or poussins are like miniature versions of familiar roast chicken, a turkey looks like that chicken on steroids. All other considerations aside, most turkey is huge. But the encouraging fact is, even though your Thanksgiving turkey is significantly bigger than a chicken, the process of taking it apart is largely the same. First, don’t carve your bird at the table. It’s messy. Present the bird to the dining room table if you must (although before dinner, doesn’t everyone hang around in the kitchen anyway?) and then return to the kitchen to carve. Second, let the bird rest for around 30 minutes before carving. (Longer is usually fine; just stick the platter in a warm oven when you’re done carving.) Resting time is important because it allows all those good juices to re-infuse the meat. 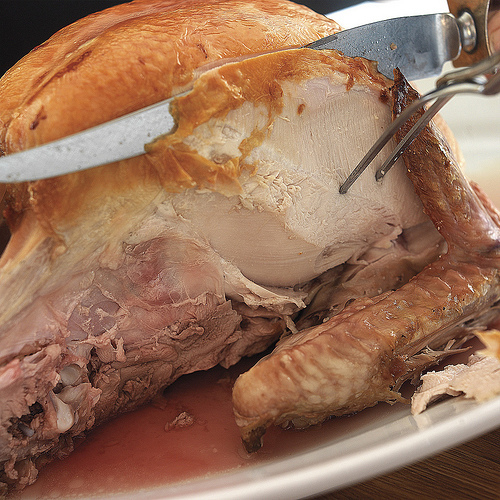 Carve too soon and you’ll have a dry bird (and also a very hot one, which makes it harder to carve). These are just the basics, based on how we carve. Refer to the pros (see video below) for other methods, all of which work. For a photo step-by-step, check out this post on The Huffington Post. 1. Remove the drumsticks. My husband sometimes removes the thigh and leg pieces together, separating them after they’re off the bird. Holding the drumstick vertically, cut the meat off in bite-size pieces. 3. Separate the breast halves. Cut the breast meat horizontally, creating slices at whatever thickness you like. 4. With the large pieces you have, cut as much good meat off as you can. If you like, save the bones for stock and the drippings for gravy. From The Huffington Post slide show. With the right tools and your new knowledge, carving your Thanksgiving turkey should be both straightforward and easy to manage. 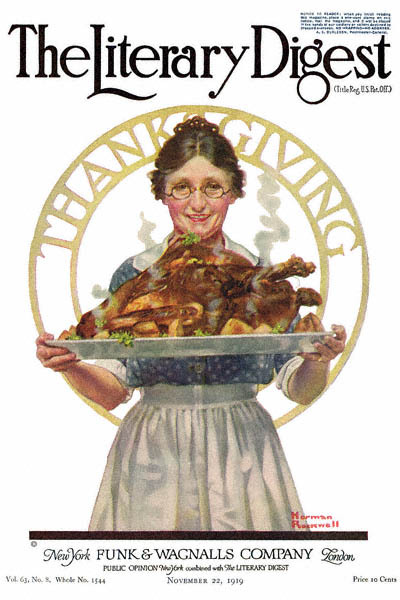 All the best for a very happy Thanksgiving! It used to be that every Thanksgiving table proudly bore a Butterball, fat, browned and juicy. But with a growing interest in sustainable food culture and heritage breeds making a comeback, the choice of a Thanksgiving centerpiece has become a bit more complex. While they’re the cheapest option, “commercial birds grow so fast, they don’t have time to accumulate much flavor,” Cook’s Illustrated writes. That makes them prime candidates for brines, spice rubs and smoking. Natural: This weak label doesn’t mean much, except “no artificial ingredients” including flavor, coloring and preservatives. 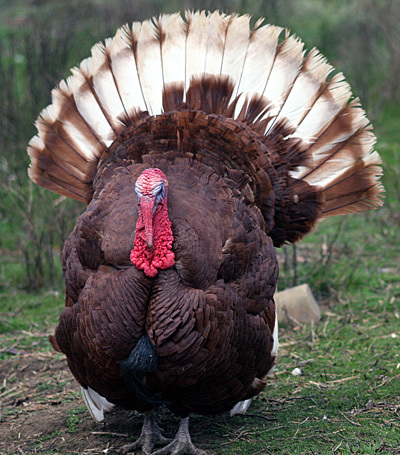 There are no regulations about how the turkey is raised or what it’s fed. Not generally worth any extra cost. Free-range: According to the USDA, “free-range” indicates a bird that was not raised in a cage and had access to the outdoors (even if that’s a little door across a crowded henhouse). 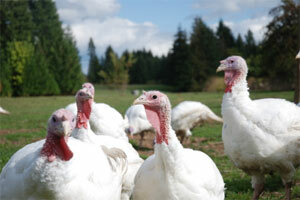 Raising a turkey free-range is generally considered more humane and healthy. Available at specialty markets, farmers’ markets and bigger grocery stories, free-range is a good option if you don’t want to spring for organic. Certified Organic: Certified organic turkeys are free-range, free of antibiotics and fed an all-vegetarian diet of organic grain and pesticide-free grasses. They’re expensive, but many cooks say they’re worth it, both for the benefits to the environment and for superior taste. 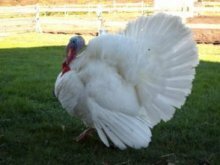 Heritage turkeys: At top dollar ($100 for a big bird) heritage turkeys are older breeds making a comeback. According to the food-centric radio show The Splendid Table, flavors are more distinctive than a supermarket turkey, but expect more bone to meat and less fat. A heritage bird won a Cook’s Illustrated turkey tasting for “excellent flavor,” but tasters were unsure whether it was worth more than four times the price of a supermarket turkey. 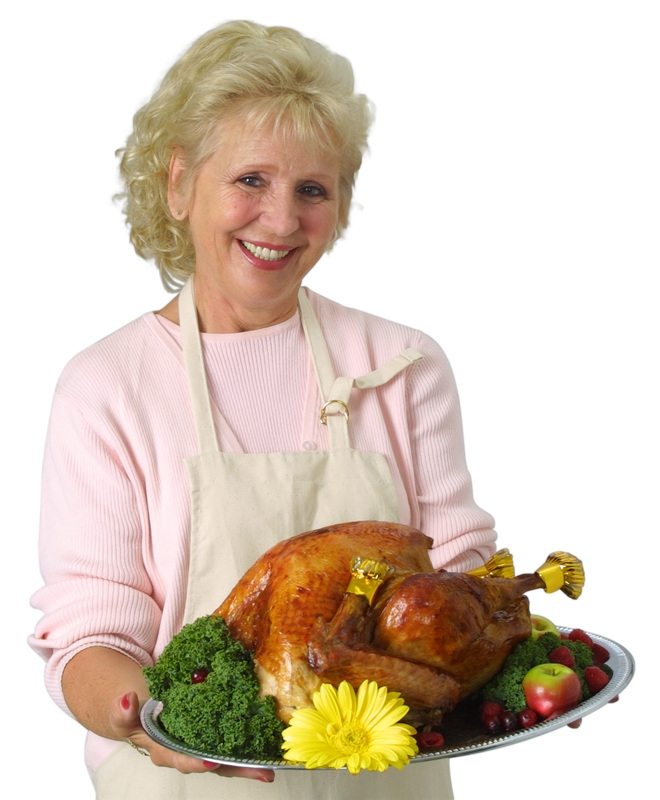 Lynn Rosetto Kasper says don’t brine a heritage bird — just slow-roast it and make a pan gravy to moisten the meat. Self-basted (or pre-brined): Turkeys that are “self-basting” can be a time-saving choice for a busy cook, since the brine/marinade — a solution of salt, butter or oil, as well as herbs, spices and other preservatives — has already been injected into the meat. This saves the trouble of shoving a big turkey into a bag of brine, but you run the risk of a mushy texture and odd flavor. 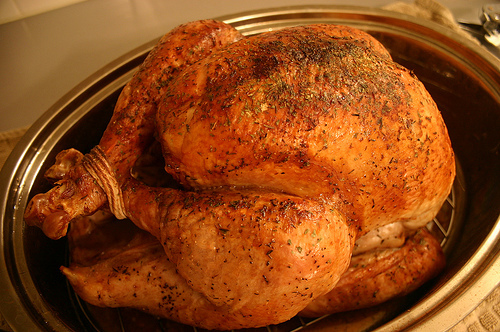 Note: Don’t brine a kosher or pre-brined turkey; it will be too salty. Let us know what type of Turkey you choose for this Thanksgiving feast! Employee Holiday Gifts Just Got Easier! gThankYou! is pleased to announce its first ever – Enclosure Card Catalog! Now it’s easy to see all our Thanksgiving designs at once and share with management and co-workers. Our new Enclosure Card Catalog now makes it easier for companies to see and share our entire line of Autumn and Thanksgiving Designs. What’s more, all of our free Enclosure Cards (as well as our Certificates of Gratitude) can be personalized with your message and even your company logo. At gThankYou!, we work hard to make it easy for you! Check out our new Catalog of Autumn and Thanksgiving Designs today! Ah leftovers. . . for most of us, a welcome part of a Thanksgiving or Holiday turkey tradition. Let’s face it, there’s nothing like a slab of leftover stuffing and turkey cold cuts to bring a holiday flavor to your lunchbox. And turkey is remarkably versatile. The white meat particularly can be used in a plethora of creative recipes in place of chicken, from soups and casseroles, to enchiladas and chili. And although it may seem to some of the pickier eaters in the family that leftover Holiday turkey lasts forever, alas, it is not so. According to food safety experts, you have a relatively short window to enjoy the best of the rest of your bird. Basically, from the time you take the turkey out of the oven, you have 2 hours to serve it, eat it, and then refrigerate or freeze the leftovers – the turkey, stuffing and gravy. Why just two hours? Because bacteria that cause food poisoning can multiply to dangerous levels on perishable food left longer than 2 hours at room temperature. To preserve the Holiday Turkey flavor safely, do not dawdle. After dinner and before dessert you should remove the meat from the bones, cut large pieces into small pieces, and store in airtight containers. (That’s because food in small amounts will get cold more quickly.) Leftover turkey will keep in the refrigerator for 3 to 4 days. Stuffing and gravy should be used within 1 or 2 days. 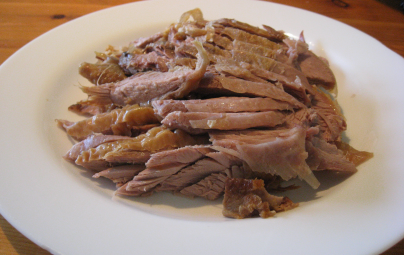 Just to be on the safe side, you should reheat leftover gravy to a rolling boil before serving. If you’d like to extend your turkey leftover experience into the new year, put your airtight packages of cooked turkey goodness in the freezer, with the date clearly marked. That will give you up to 6 months to find just the right recipe. . . and May is a lovely time for turkey tetrazzini. According to the BNA, while the percent of employers providing a Thanksgiving gift to employees is down from its high in 2004 of 23%, current gift giving levels are similar to other post-recession periods. Budgets today are tighter for everyone. A New York Times article says some historians speculate that passing out turkeys to workers during the holidays began in 19th-century England with bosses who had read about, and did not want to be compared with, Ebenezer Scrooge. In this country, Thanksgiving turkey-giving was a way to “introduce immigrants to an American tradition,” says Mitchell L. Moss, a professor of urban policy at New York University. “It was a way to do holiday spirit for people who weren’t familiar with the holiday.” It’s still an affordable and meaningful way to thank employees and celebrate the gratitude of the Thanksgiving season. A thoughtful gift of a Thanksgiving Turkey puts you as an employer, front and center as your employees celebrate this special holiday with family and friends. And that’s something to be grateful for. Thanksgiving may be just a couple of weeks away, but there’s still plenty of time to share your seasonal holiday gratitude with employees. 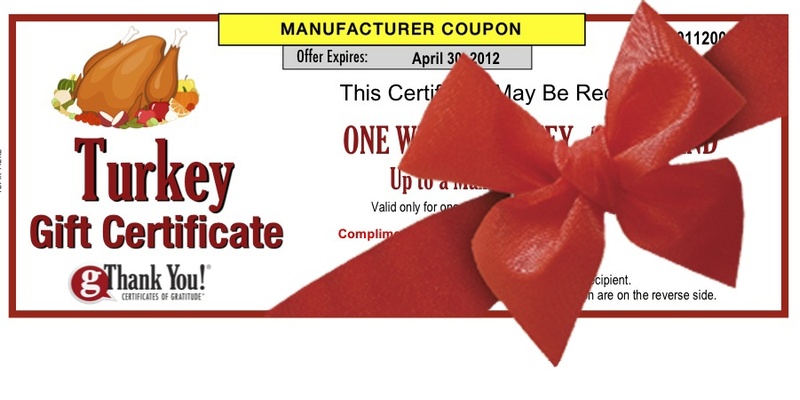 Simply order much-appreciated Turkey Gift Certificates from gThankYou! More About Scrooge….On a related note, Harvard Business Review discusses “The Economic Legacy of Ebenezer Scrooge” and Forbes names him No. 6 in the Forbes Fictional 15.